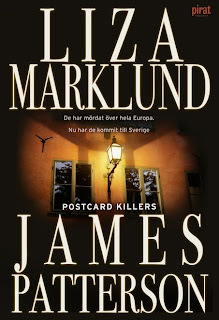 I've read books written by Liza Marklund earlier, but never any of James Patterson's books. 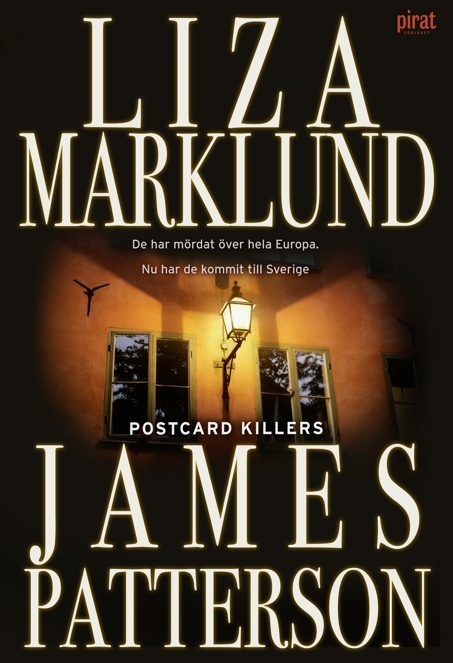 Liza Marklund writes easy read crime books. Nothing wrong with it, but I tend to get a bit bored so I can't read many of them at a time. This book was in the same class as her earlier books. It's a good read when you don't want a book you have to think a lot about or challenges you to think. I like the idea of a book written through mail while the two writers sat in two different continents, that thought is awesome and shows me how far technology has developed. I love the idea of our world getting smaller and how easy it is to talk and work together across continents. Back to the book, it's about a killer or actually two killers who travels around killing couple while sending a journalist postcard about their killing. Nothing to new and original. I think the killers were a bit obvious and the characters of the killers didn't have enough depth to be revealed that early in the book. I didn't hate the book, I just know I'm not lining up in a queue to read James Patterson's novel.